The first anniversary night of Centerline, the year 2011 students of Naval Architecture department ITS, was held on last May 27th. Simple celebration with family concept, because we are like family not by blood after everything we've been through in institute students orientation during first year. And now we all will start the year three together. This first anniversary means that we are be a CENTERLINE for a year, sure after we have finished the institute students orientation, and second anniversary as the year 2011 students. The dresscode was so simply, "white top and jeans, but don't forget to don the Centerline jacket too". There were two master of ceremony that night, Sekar and Ardan. The Head of Centerline were giving her address, Fyan. Ah we both look so funny, what a really (....) candid photo! The Head of HIMATEKPAL 2011/2012. The Head of year 2009 students. Aul and Thea, my best friends. The master of ceremony, Ardan and Sekar, took a pose with me and Thea. Bintang and Rido (left). Ega and Rino (right). My uncle, Bintang, and his brother. A little surprised to celebrate a best friend birthday, me and two other, Thea and Nuel arranged it. Thea sang a several songs, then it changed to "Happy Birthday" and I came out with candles on a brownies. In fact, Thea really didn't give him a birthday words until that night. 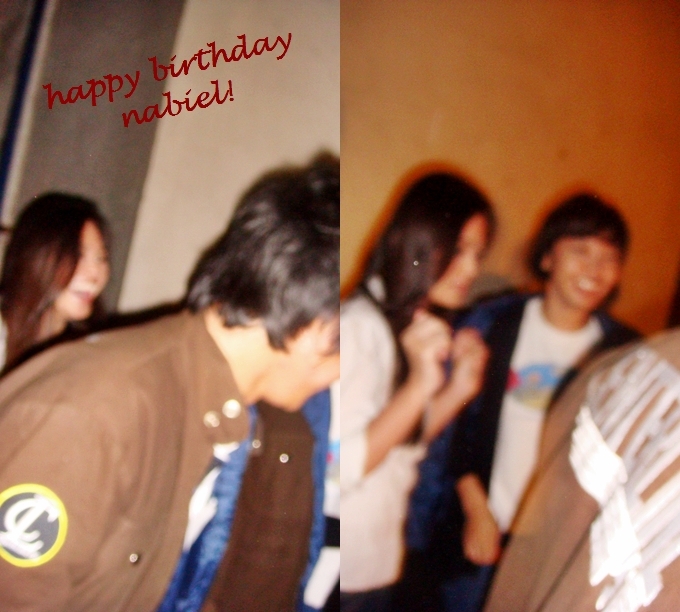 What a late celebration, but Happy birthday Nabiel! Guys were talking about something I didn't understand. We are like real sister, aren't us? My partners in crime, Thea and Nuel. Getting crazy like never run out of time. Clara with the head of 2009 students and the head of 2011 students. 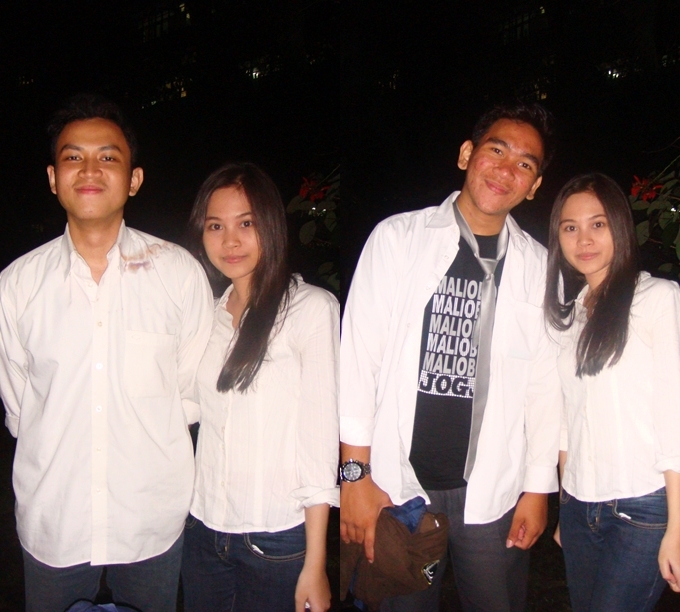 My best friends, Nabiel, Lukky and Thea. And we both love our head of Centerline much. That's all about the night, from us for us, CENTERLINE. Wish every good things always stay with us, and we can go through matters together. Because we share love as family even we're not by blood, time and daily which make us a family.